According to report, 70% of the migrants are West Africans, most of whom are Nigerians. Weeks after wide uproar internationally about slave trade in Libya, Nigeria's President, Muhammadu Buhari has reacted to the unfortunate development. World leaders, as well as top celebrities, have condemned the modern-day slavery, with a viral video of where some men were seen heartlessly torturing a man with his legs, mouth and hands tied while he’s being stabbed severally with a knife. Condemning the development, Buhari on Wednesday said Nigeria has started bringing back all her citizens stranded in the North African country. “The situation in Libya, of people being sold into slavery, is appalling and unacceptable. We will do everything to protect our citizens wherever they might be. “We have also started bringing back home all Nigerians stranded in Libya and elsewhere. We will ensure they all return home safely and are rehabilitated,” he wrote on his twitter handle. 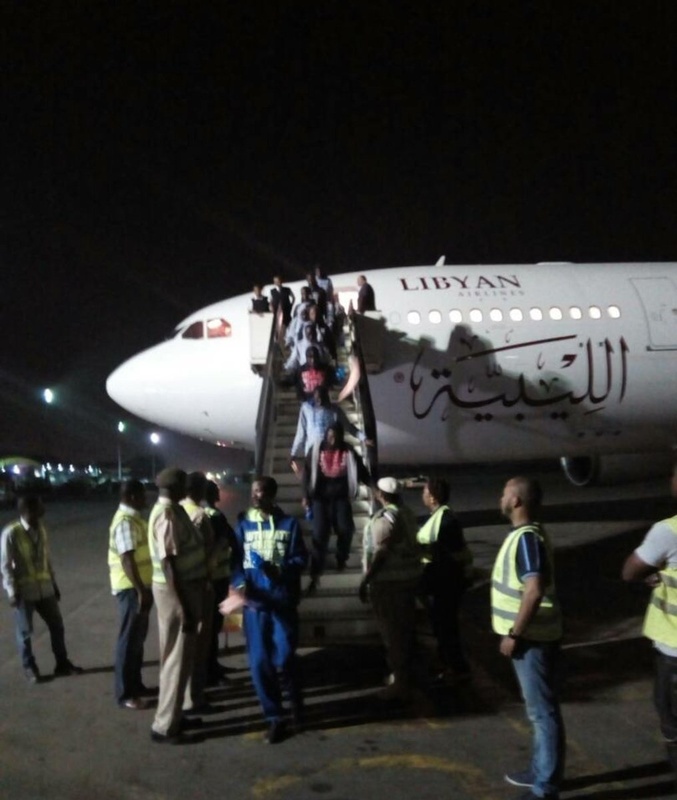 Nigerian government said it has repatriated 242 migrants from Libya following several “save our soul” messages from migrants stranded in the country.